Butter chicken (murg makhani) is an appetising, mouth-watering and popular dish in India and abroad. Butter chicken is available in every restaurant in India and in Indian restaurants in other countries. Whenever we go to restaurants with friends or families, butter chicken will be ordered every time with naan. Butter chicken is best served with naan or roti (chapathi, phulka). In every restaurant the consistency of butter chicken will be same but there may be slight variations in the colour and taste. Butter chicken or murg makahani is usually made with chicken on the bone in India, but in the Indian restaurants in the UK it is served with boneless chicken and is also known as chicken tikka masala. I have prepared butter chicken with many variations from using fresh tomatoes to tinned tomatoes and also using pasatta sauce, which is not traditional. But trust me, all of those tasted great and delicious. 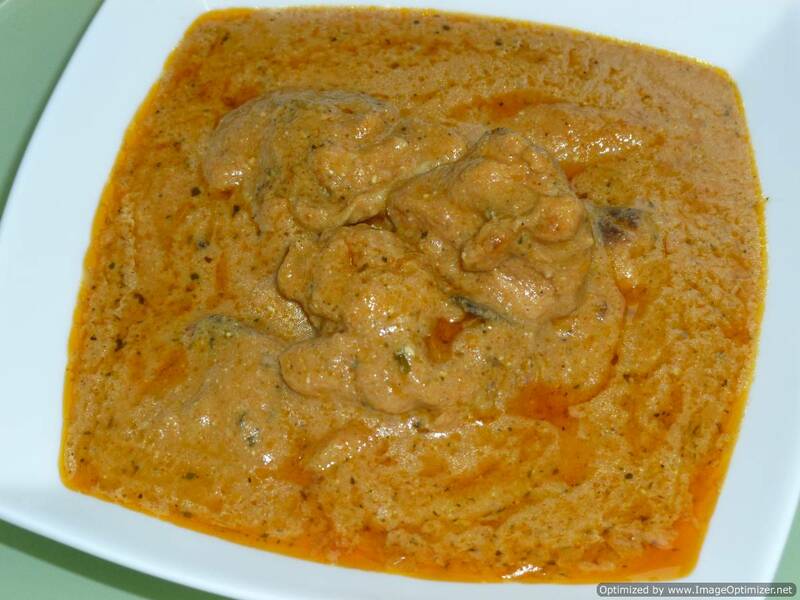 To prepare butter chicken you need time and patience, as it is not a fast cooking dish. I have added the spices in stages to make the sauce more tasty and delicious in addition to the colour to get the looks of restaurant style butter chicken. To prepare the butter sauce in this recipe, I have used fresh tomatoes (red vine tomatoes) and cooked with spices, cream and ofcourse butter to make the sauce more glossy and buttery. 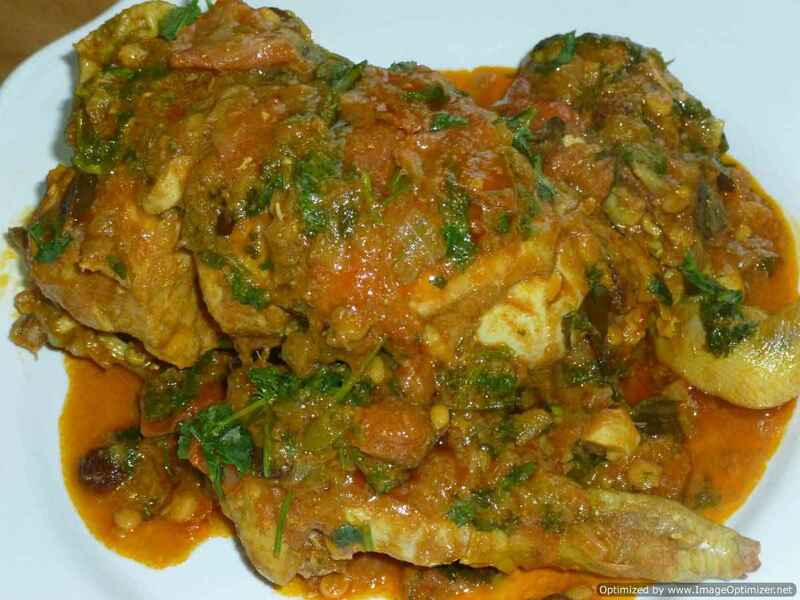 I have used half cooked tandoori chicken instead of using fully cooked tandoori chicken in this dish. The tandoori chicken is cooked on a low flame for 1 hr or more to make it scrumptious and juicy. You can use fully cooked tandoori chicken pieces as well, but when using add it in the curry towards the end to avoid over cooking the chicken. I have used tandoori chicken pieces to show how it is served in the restaurants in India. You can use small boneless pieces too if you wish. Refer to my tandoori chicken recipe for more detail on how to cook tandoori chicken. I have not included it in this recipe as it is a long process and deserves to be a separate recipe on its own. If you prepare in advance, like marinating and cooking tandoori chicken and preparing basic tomato sauce, it will be easy to prepare butter chicken the next day. Prepare this butter chicken as per my instructions and enjoy with your family and friends. Make 'X' mark on to the bottom of the tomato or base of the tomato (opposite stem side). Add the tomatoes to the boiling water for 30seconds or until the skin peel off or the skin near to cross starts to curl. Take off the tomatoes and allow to cool or place it in cold water and then peel with your fingers or knife gently from beginning of x mark. Peel all the tomatoes skin gently and keep it ready. Chop tomatoes, green chillies, ginger, and garlic, keep ready. I have used 2 breast piece and 2 leg piece, marinated, which is half cooked that is cook in the oven just for 15minutes for 230c. Until the marinate is well attached to the chicken, baste with butter and wrap it in aluminium foil, keep it ready. It will keep the chicken moist and juicy. You can do this previous day itself and keep it in the fridge. If you want you can use full tandoori chicken, add in the end preparation of the curry. For the butter chicken, I have used only 2 pieces, as per the consistency and requirement of my sauce. Heat the vessel with oil 1tbsp and butter 1tbsp, when warm add the entire whole spices let it sizzle for 30seconds. Add chopped tomatoes, ginger, garlic, green chillies sauté for 2minutes. Add tomato puri and Kashmiri chilli powder mix well, and cook for 2minutes. Add water, boil for 5minutes and cook for 45 minutes on low flame by closing the lid. Remove the bay leaf and black cardamom and puree it or grind with all the ingredients with a hand blender or grind it in a mixer. Strain the pureed tomato base and keep it ready for the butter chicken curry. You can prepare this basic tomato sauce one day before and refrigerate it. Heat the vessel with oil 1tbsp and butter 2tbsp , when hot, add roasted cumin power 1tsp, when start sizzling , immediately add basic tomato sauce, stir quickly. Keep the flame low and add the ingredients tomato puree1tbsp, Kashmir chilli powder, tomato ketchup 2tbsp , sugar1tsp, leftover marinate of tandoori chicken 1tbsp(optional) and its liquid 1/4 cup (add water 1/4 cup to clear the marinate attached to the vessel) with 1/3 cup water additional or just plain water 1/2 cup, mix quickly. Allow it to cook for 10minutes on medium flame and in between stir it. Add tomato ketchup 3tbsp, butter 2tsp, and mix well. Add kasuri methi 2tsp, garam masala 1/2tsp, saffron or orange colour a pinch (optional), cook for 30minutes on low flame, by closing the lid and in between stir it. Add the half cooked tandoori chicken, which was wrapped in aluminium foil to the sauce. Add 1 tsp butter, mix well and allow it to cook for 5 minutes. Add single cream 1/2cup, mix and cook for 15 minutes on low flame by closing the lid and in between stir the sauce. Add green cardamom powder 1/4 tsp or more, tandoori masala 2pinches, kasuri methi 2tsp, sugar 1tsp again, ginger julienne 5 strips or thin few sticks, mix it and cook for 30 minutes, by closing the lid and stir in between. If the sauce (curry), gets dry or gets reduced, can add water as per the consistency you desire. I added green cardamom a pinch again, single cream 3tbsp, roasted cumin powder a pinch, tomato ketchup 2tbsp, mix all and cook for 20 minutes on low flame. In the end just drizzle 2tbsp cream and ginger Julienne few, mix, cook for 2 minutes and serve. Serve in a serving bowl with few ginger slices, cream and a pinch of kasuri methi , as garnishing (optional) on the butter chicken. Serve butter chicken with any Naan or rice you like. For the colour I always use the biryani colour;saffron colour or orange colour, you can use beetroot extract or beetroot powder for food colour. I have added spices stage by stage and cooked on a low flame for few minutes, according to my taste and as per my consistency, so always taste while adding the ingredients. Ginger julienne or thin strips, as per your taste you can avoid it. Here in UK, tomato puri is available as double concentrated a thick paste like, you can use any tomato paste or tomato puri but shop bought as it will give your butter chicken good colour and consistency. Always taste and add the ingredients in the end, as everyone has their own taste. You can reduce butter and cream as per your taste. 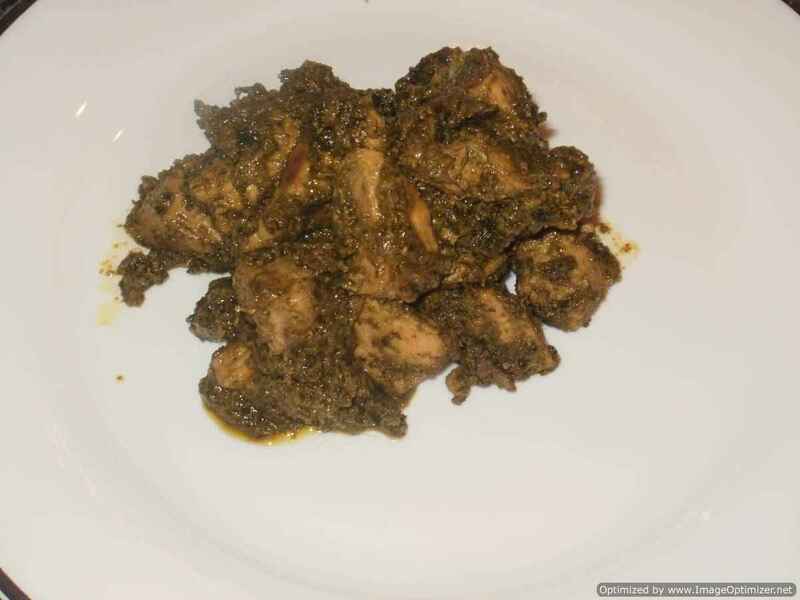 Instead of using half cooked tandoori chicken, you can use fully cooked tandoori chicken pieces and add to the sauce when green cardamom and cumin powder is added in the end and cook for 20 minutes on low flame.